Abbie's Design Studio brings you our 2018 Wedding Colors palette for each season. These colors are bold and confident! This past October, I had my dream wedding (10-8-17). 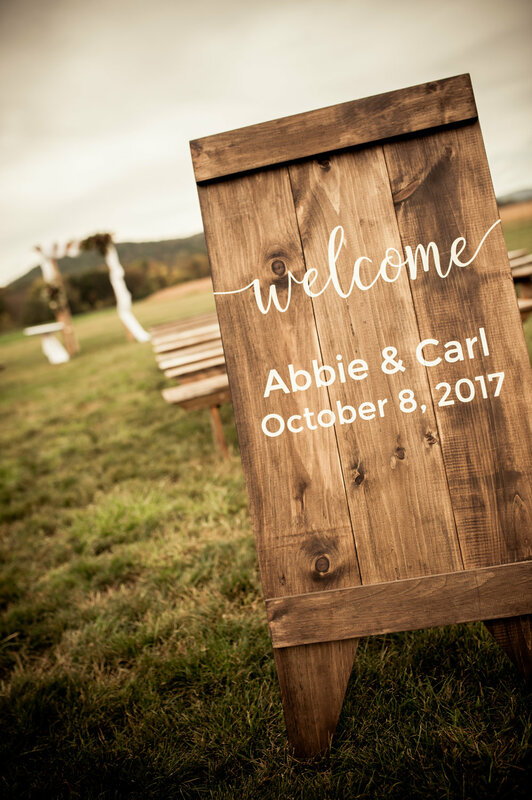 Within days of being engaged, my fiancé and I had already chosen our venue and a rustic-inspired wedding theme for our day. It fit so perfectly for us. I knew our wedding invitation had to be like nothing I've created before. My husband has me seen design hundreds of wedding invitations for other clients at Abbie's Design Studio, so he put me up to a challenge to design something completely unordinary. We designed our wedding invitations to have a rustic theme and printed our invitations on wood. Yes, Oak wood. A real wood veneer with a small shimmer to the background. 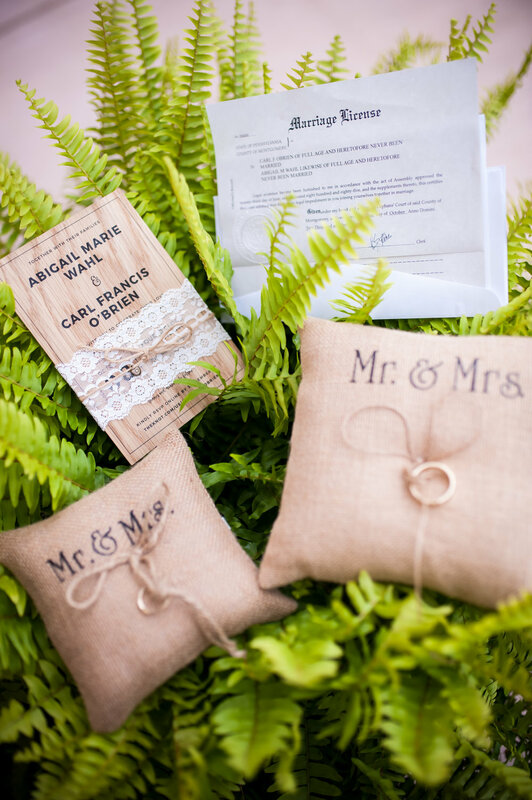 Each wood invitation was tied with lace, twine and a heart charm. Fast forward to our wedding day, our florist and venue really tied our vision together. I was obessed wtih my wedding bouquet. 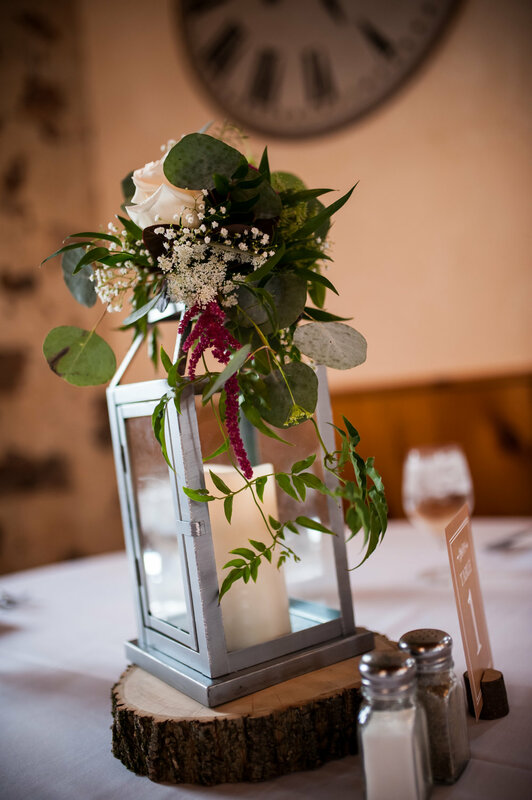 Scroll down to view our "details" pictures of our rustic style wedding stationery. 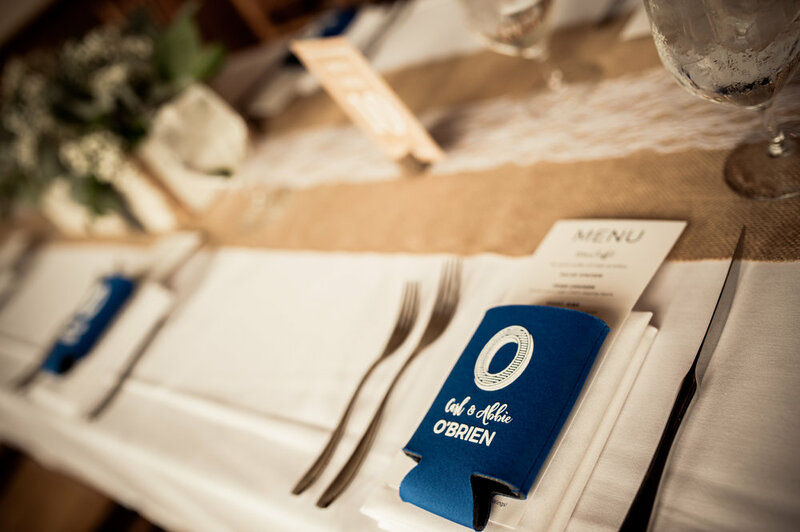 Pictures include our wedding invitation, wedding program, place cards, menu and ketubah. We Love Paper. We Love Design. At Abbie's Design Studio, we love paper. And we love design. Custom wedding invitations set the tone for your big day. 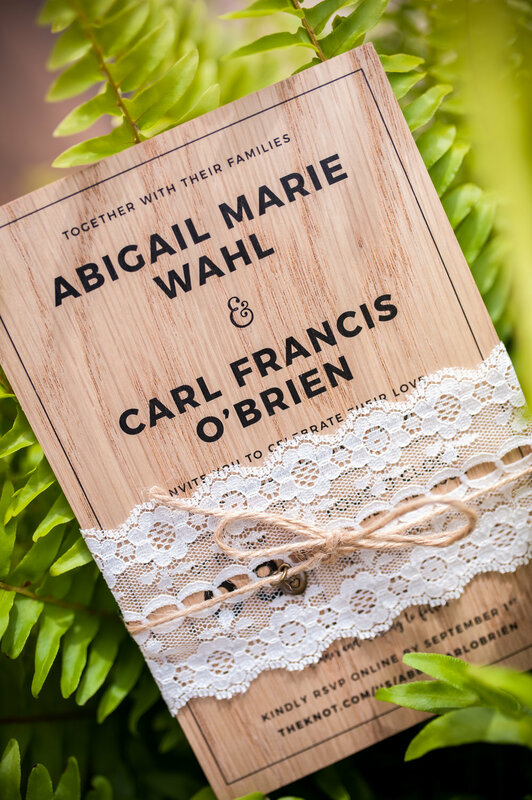 I designed us wedding invitations printed on wood. A micro-thin wood veneer paper to be exact. Tied with lace and twine, giving this a soft romantic touch. Wording a wedding invitation may seem complex. Abbie's Design Studio has put together a variety of wording options to help you in this process! Your wedding invitation is a creative wedding preview sent to your loved ones, while conveying your values. The wording should match the style and theme of your wedding, as well as, the layout of your invitations. It can be as casual or as formal as you want to be. But before you get too carried away, remember that an invitation is still a simple means of passing along information. Below are wording variations you can choose from, or use as a template to add your own style of writing. Feel free to mix and match layouts to create your one-of-a kind wedding invitation! Check out the images below to see what the general flow should be. "Together with our Families" or "Together with our Parents"
There are many more wording options out there. Need help? Just ask! We are excited to get started on your wedding invitations. PSA: the gold rush is here!